Internet users in dozens of countries around the world where governments tend to look askance at freedom and civil liberties have come to rely on the Tor network for dependable, anonymous access to the Web. But those governments and some popular websites have caught on to the game and begun to make it more difficult for users to connect to the Tor network. If you live in an area with little or no Internet censorship, you may want to run a Tor relay or a Tor bridge relay to help other Tor users access an uncensored Internet.The Tor network relies on volunteers to donate bandwidth. The more people run relays, the faster and more secure the Tor network will be. To help people using Tor bypass Internet censorship, set up a bridge relay rather than an ordinary relay. 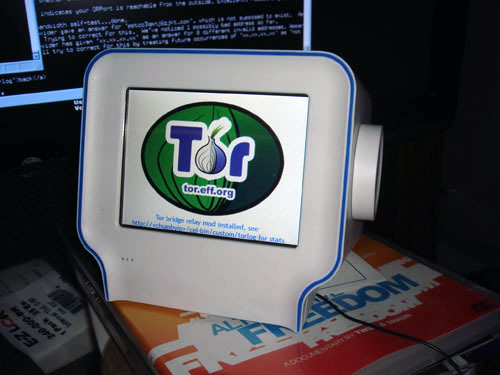 Now, new version of the software include a feature that enables users to connect to one of several "bridges," or Tor relays whose IP addresses aren't listed in the Tor directory. Bridges to Tor is a step forward in the blocking resistance race. It is perfectly possible that even if your ISP filters the Internet, you do not require a bridge to use Tor. So you should try to use Tor without bridges first, since it might work. So the traffic from a user connecting to one of these relays just looks like a simple connection to another user. The bridge then routes the traffic to the regular Tor network and on to the its termination point. Read Here - How to Configure TOR bridges.